Burial* He was buried in Baldwin Christian Church Cemetery, Georgina Twp., Baldwin, York County, Ontario, Canada. 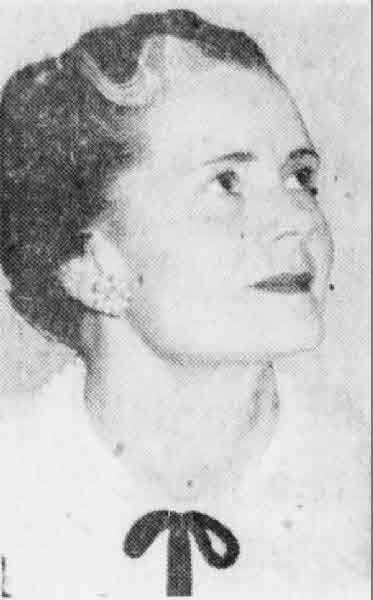 Marriage* He married Viola Edith Almedia Perkins, daughter of Arthur Worel Perkins and Lilla M. B. Shier, on 11 February 1934 in Niagara Falls, Welland County, Ontario, Canada. Death* Alberta Keller died on 28 September 1999 at age 90. 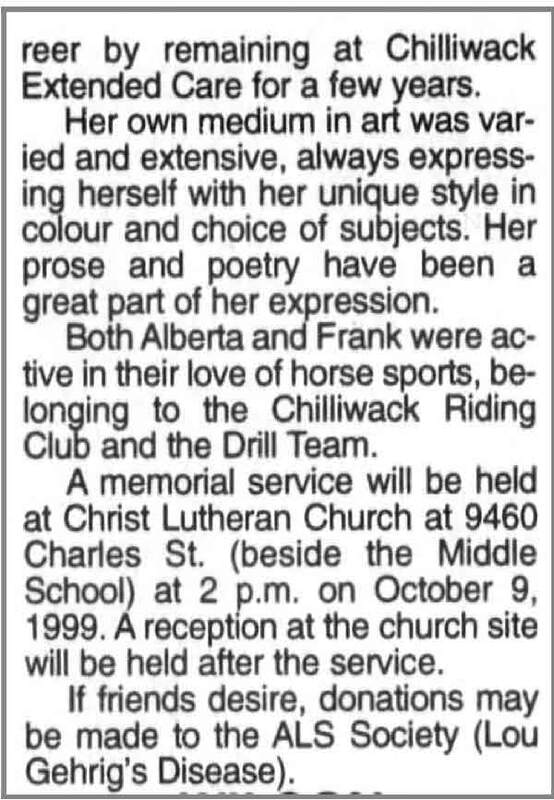 Death* She died on 18 April 1925 in Kaladar Angelese & Effingham Twp., Lennox and Addington County, Ontario, Canada, at age 80. Burial* She was buried in 1990 in Kirkton Union Cemetery, Usborne Twp, Huron County, Ontario, Canada. 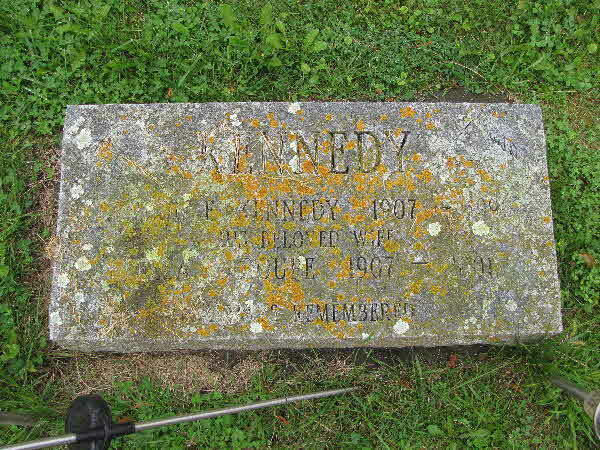 Death* Allan Kennedy died on 11 October 1922 in Windsor, Essex County, Ontario, Canada. 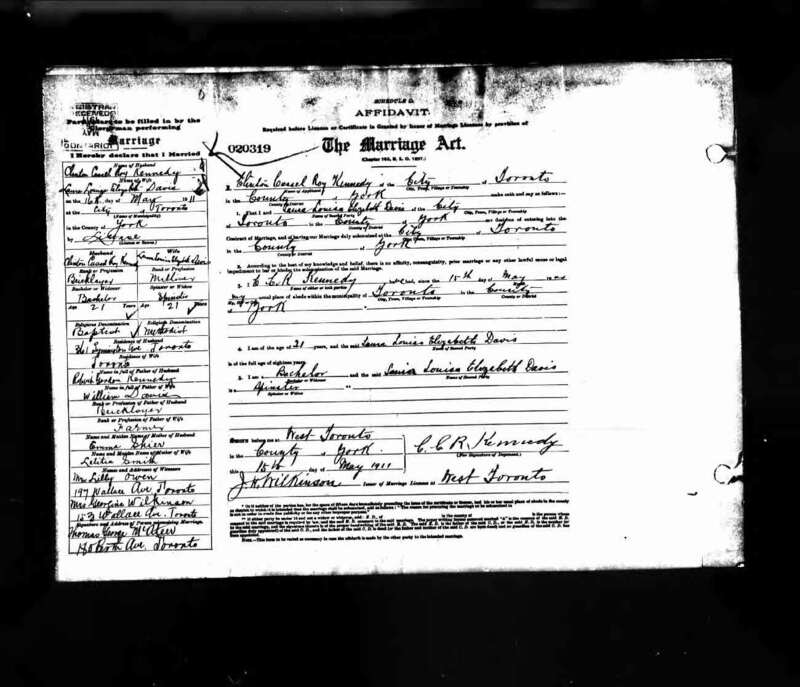 Marriage* Anna Maria Kennedy married Francis Robert Coutanche, son of Francis Coutanche and Matilda Unknown, on 6 September 1893 in Toronto, York County, Ontario, Canada. Death* Anna Maria Kennedy died on 1 October 1900 in Toronto, York County, Ontario, Canada, at age 28. 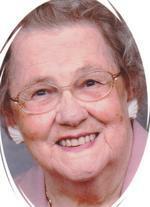 Birth* Bessie Laureen Kennedy was born on 11 November 1911 in Toronto, York County, Ontario, Canada. 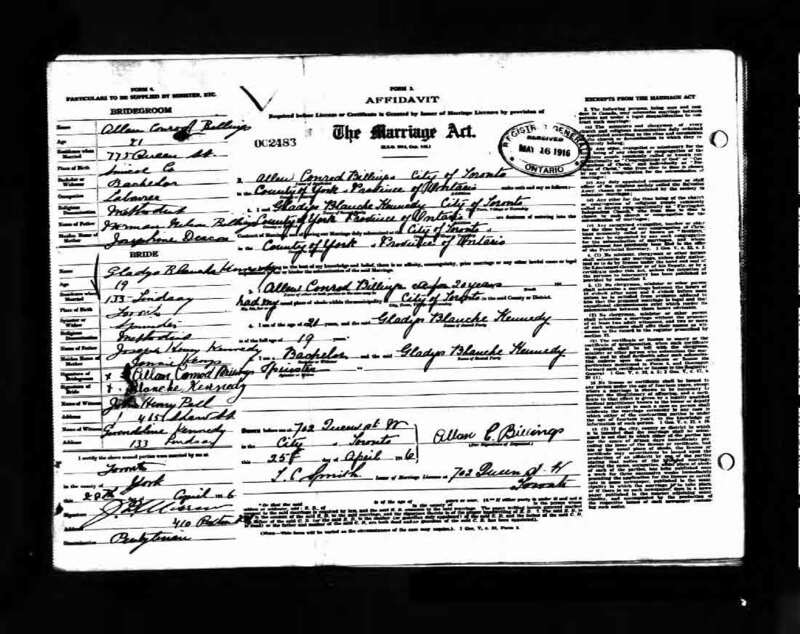 Marriage* Clinton Cassel Roy Kennedy married Laura Louisa Elizabeth Davis, daughter of William Davis and Letitia Smith, on 16 May 1911 in Toronto, York County, Ontario, Canada. Birth* David Leon Kennedy was born on 1 September 1899 in Toronto, York County, Ontario, Canada. 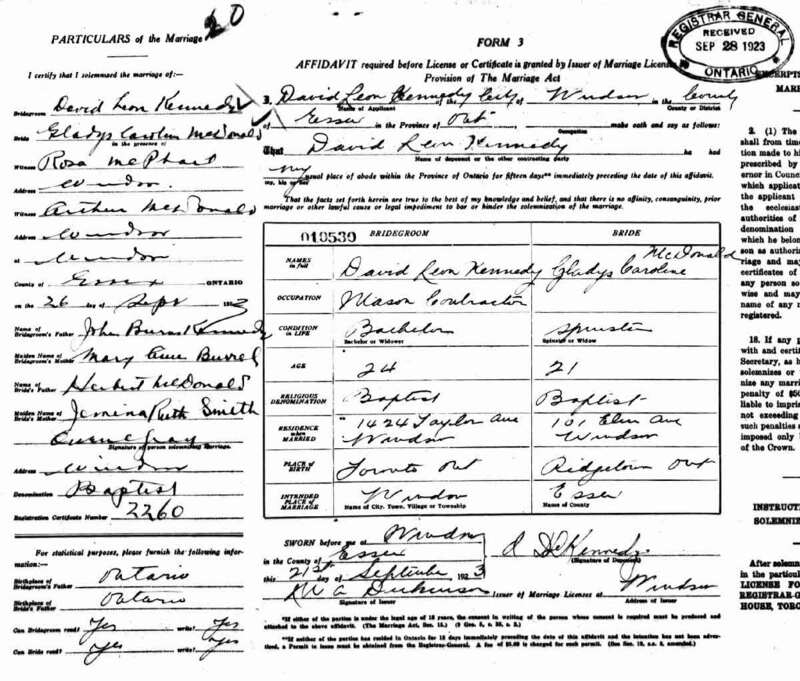 Marriage* David Leon Kennedy married Gladys Caroline MacDonald, daughter of Herburt MacDonald and Jemima Ruth Smith, on 26 September 1923 in Windsor, Essex County, Ontario, Canada. 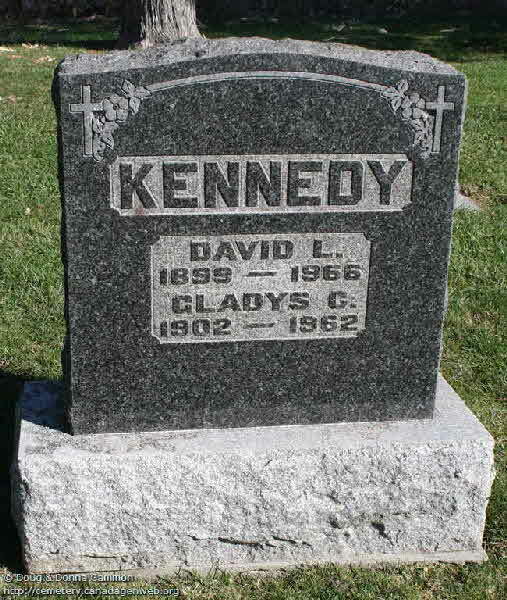 Birth* David William Kennedy was born on 17 March 1874 in Mount Forest, Wellington County, Ontario, Canada. 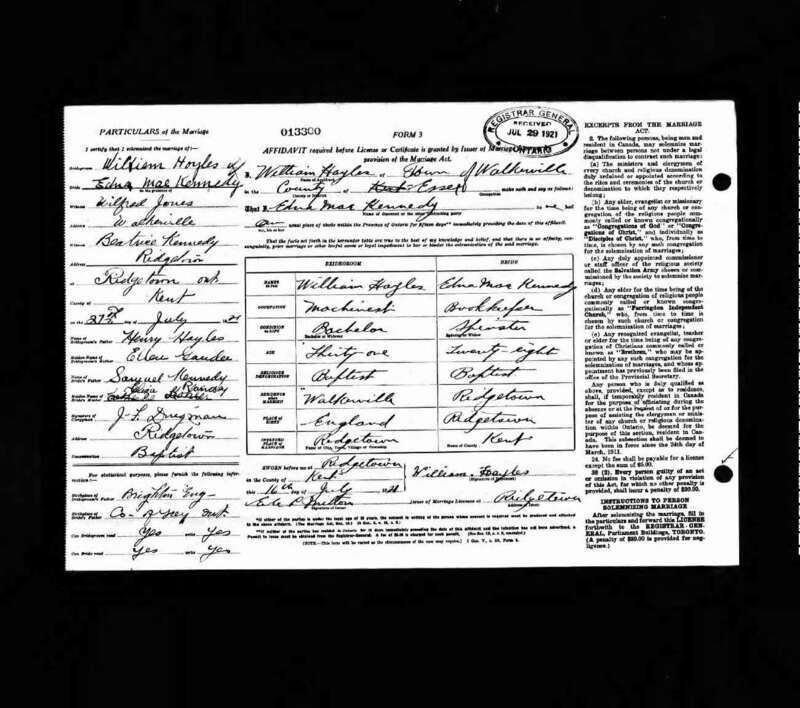 Marriage* David William Kennedy married Mary Edith Moffat, daughter of William Moffat and Jane Norval Aitkin, on 22 August 1898 in Toronto, York County, Ontario, Canada. 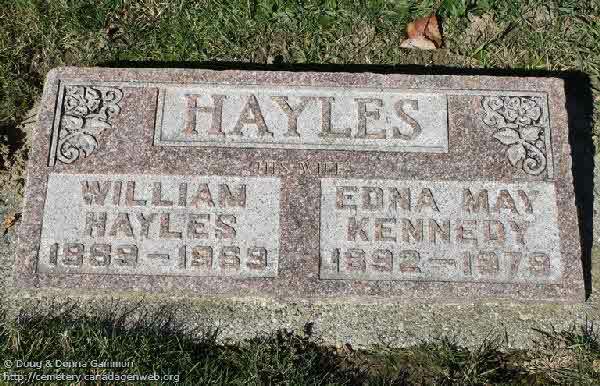 Marriage* Edna Mae Kennedy married William Hayles on 27 July 1921 in Ridgetown, Kent County, Ontario, Canada. 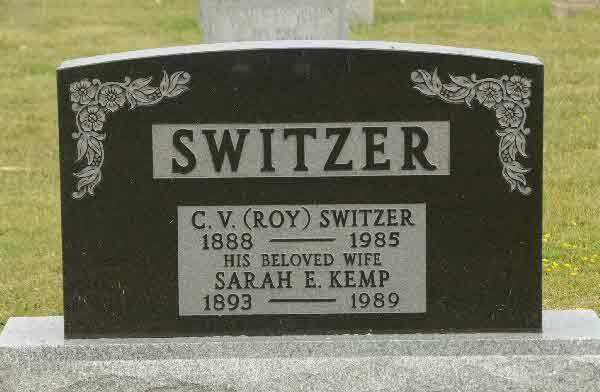 Burial* She was buried in Greenwood Cemetery, Ridgetown, Kent County, Ontario, Canada. 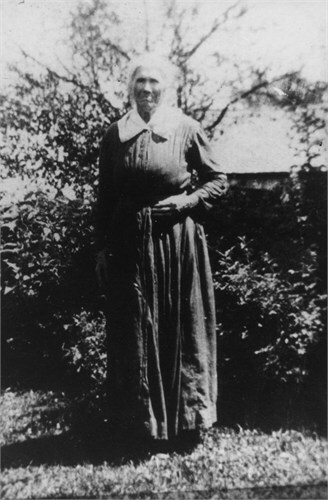 Birth* Emma Mae Kennedy was born on 17 September 1900 in Toronto, York County, Ontario, Canada. 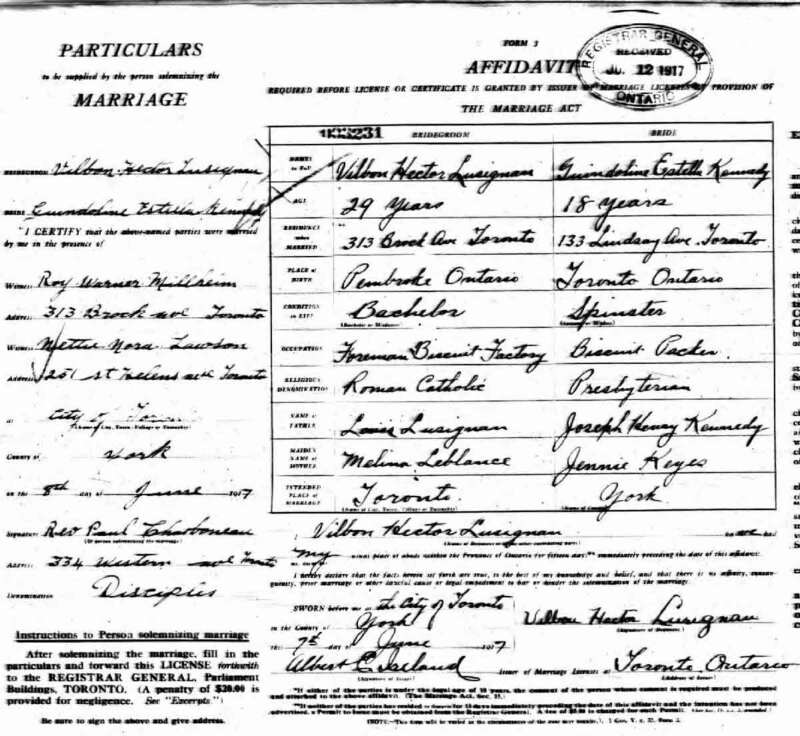 Marriage* Emma Mae Kennedy married John Albert Lloyd, son of Charles George Lloyd and Frances Jennings, on 4 September 1919. Death* Eva May Kennedy died on 8 August 1888 in Mount Forest, Wellington County, Ontario, Canada, at age 1; due to diptheria. 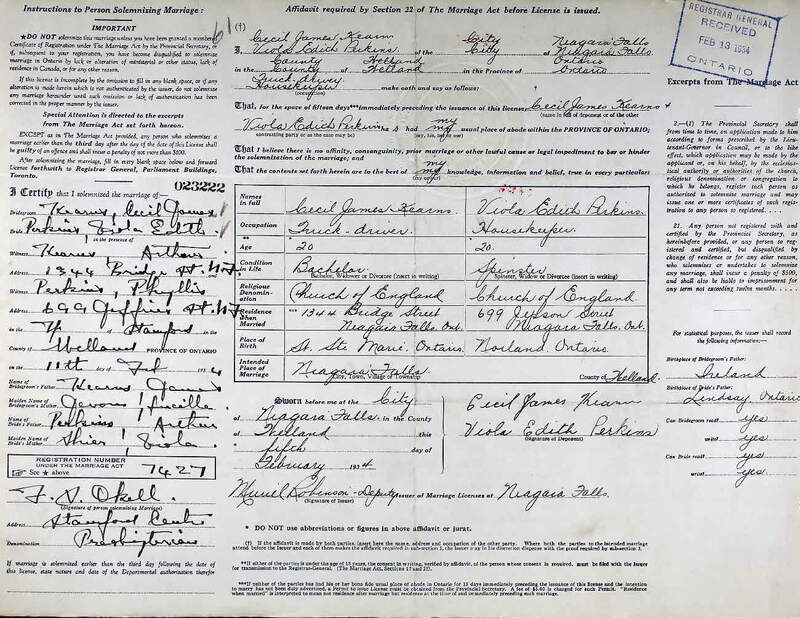 Marriage* Francis Edward Kennedy married Annie Elizaberth Brierley on 19 October 1898 in Toronto, York County, Ontario, Canada. 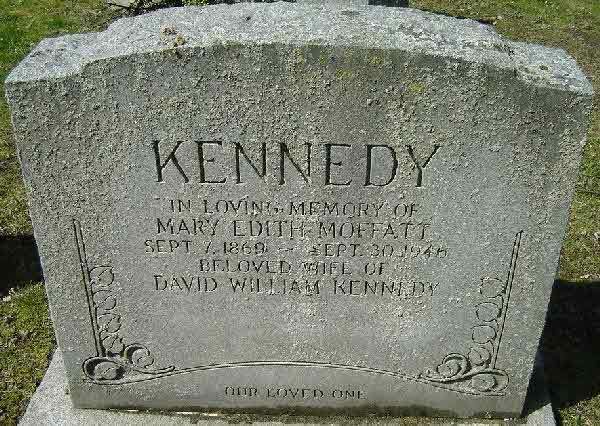 Death* Francis Edward Kennedy died on 22 December 1900 in Ontario, Canada, at age 23. 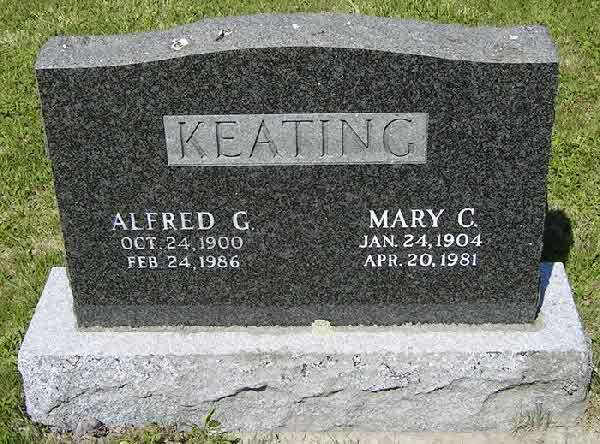 Marriage* Gladys Maud Kennedy married Allan Conrad Billings, son of Norman Nelson Billings and Jospehine Deacon, on 28 April 1916. 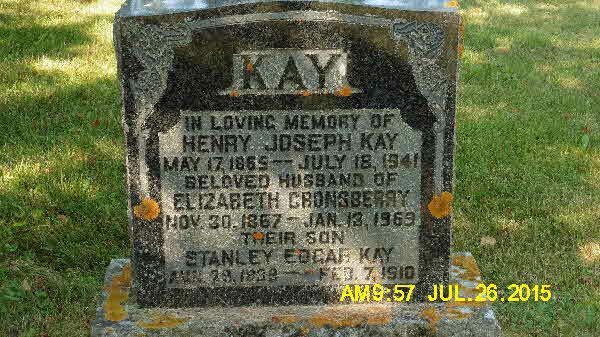 Burial* He was buried in Tamworth Cemetery (Anglican), Tamworth, Lennox and Addington County, Ontario, Canada. 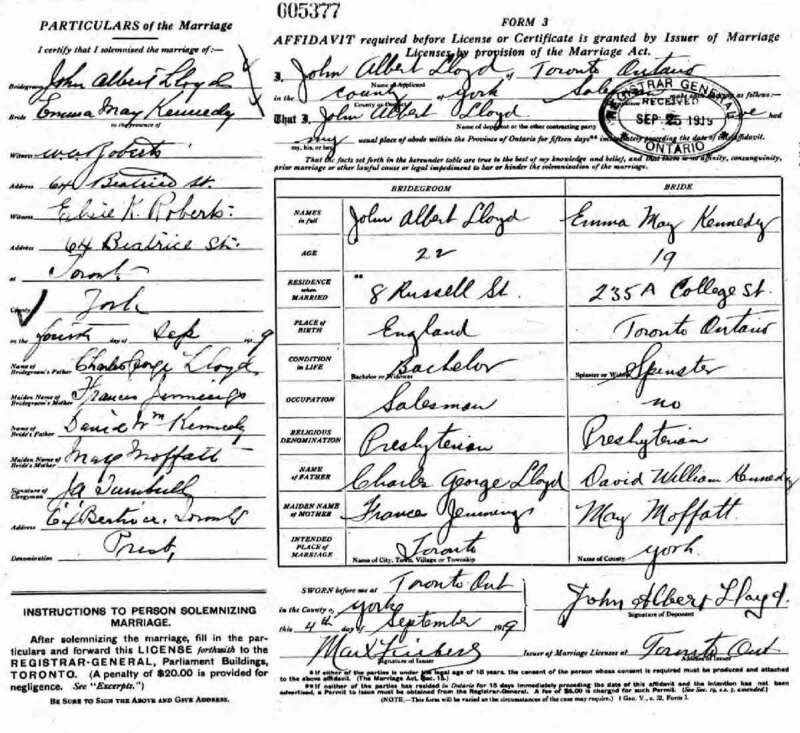 Marriage* Gwendolyn Estella Kennedy married Hector Vilbon Lusignan on 5 June 1917 in Toronto, York County, Ontario, Canada.